Design a wine cabinet elevation easily by dragging and dropping built-in cabinet frame, dividers, drawers, wine bottles, etc. Easy-to-use wine cabinet software help design personalized wine cabinets, wine shelves and wine racks. 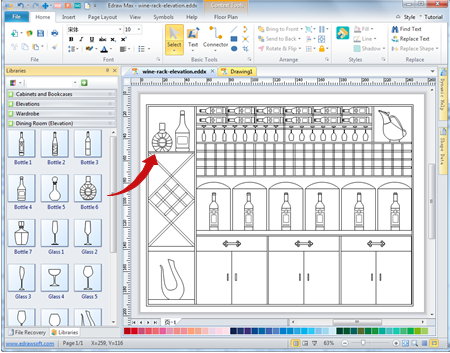 For wine cabinet designers, they might want a fast and efficient drawing tool to help them quickly visualize their ideas and enhance the productivity. That's what Edraw wine cabinet maker offers. In the software, you will find all wine cabinet design elements in the drag and drop library. What you need to do is to pull them out and place on the canvas. The elements are allowed to expand/shrink, mirror, rotate, move, and recolor. It's easy to set the dimensions by typing in a dimension value on the label, very smart and flexible. You can finish a well-created wine rack design in just a few minutes, and with totally no drawing skills required. 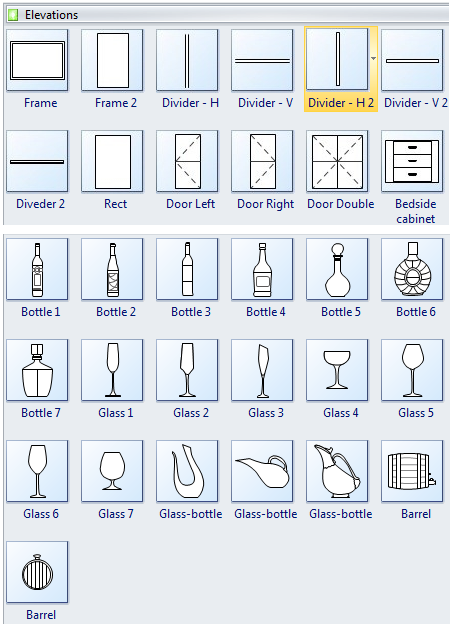 From Edraw pre-defined floor plan symbol library, you will get the following elements for designing wine cabinet. The symbols are vector based, available to change the size, color or add annotations. Easy and intuitive interface help you start immediately, no difficult commands to learn. Extensive pre-made symbols and elements which are ready to use and easily customizable. Drag and drop based operation enables fast and effective design. Available to set drawing scale and unit. Set accurate shape length directly by typing a solid dimension value on the shape. Gridlines and dynamic guide lines ensures accurate design. 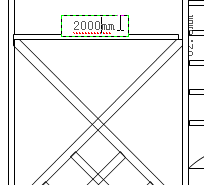 Drag and drop dimensioning symbol to mark the dimensions for your plan. Printable and support various exporting options, including EPS, PDF, Word, Html, SVG, JPG, etc. If you don't want to learn difficult and complicated software like CAD, this software is the best choice. The following steps will guide you how to start. Open the Libraries. Start a new drawing page, click Library button -> Floor Plan -> Elevations and Dining Room (Elevations). Drag and drop a Frame shape from the Elevations library, and set the frame size. Add more elements such as cabinets, drawers and wine bottles. 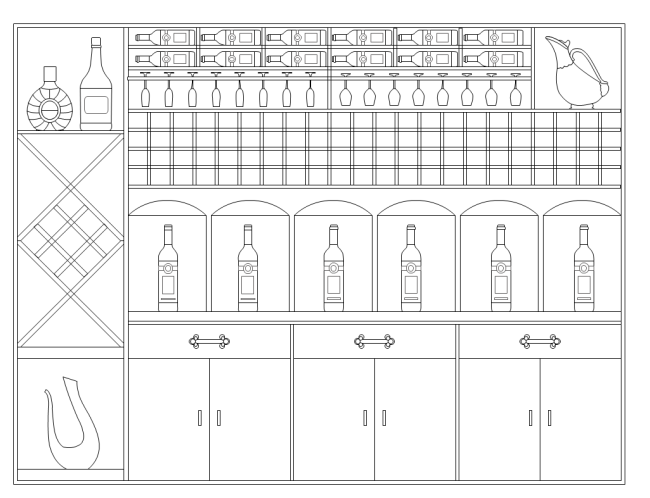 Here is a wine cabinet elevation template designed with Edraw. Using this tool, you can easily visualize your design ideas and let others understand. Edraw is not only capable of making wine cabinet elevations, but also able to create wine cellar plans. Install an Edraw Max, you can gain endless diagramming benefits.